Easily drag-and-drop files directly to any drive, check disk stats and automatically clean hidden junk from external drives. CleanMyDrive 2 is always at hand — just a lightweight interface that takes up little space and practically no system resources. It works for you around the clock so you have easy access to all your drives. Is your camera’s SD card not writing as fast as it should? Your USB stick won’t connect to some devices? CleanMyDrive 2 works with SSD, external hard drives, SD cards, USB flash drives and pretty much anything that stores files. Not only do you get to see how much space is taken up on each drive, but also what’s on them. CleanMyDrive 2 shows the storage bar for each of your external drives. Just like Mac’s native bar for the internal drive, you get to see types of files and how much they hog. CleanMyDrive 2 cleans up files which are otherwise hard to get rid of. Such as service files created by macOS and Windows that corrupt your external drive’s compatibility with other devices. Most of them are hidden. Others are visible, but hard to delete. And all of them mean trouble. What kind of hidden junk? With CleanMyDrive 2 you don’t have to rummage around in Finder — all of your drives are at hand in the menu bar. Drag and drop any file right into the app to copy it to the drive you want. Why stand around waiting for each drive to eject when you just can hit the Eject All button? Or even faster — a keyboard shortcut. And, if you’ve accidentally closed your Mac with a USB stick plugged in, CleanMyDrive 2 ejects it automatically, keeping all your data intact. Mac apps are meant to be fun, not just functional. 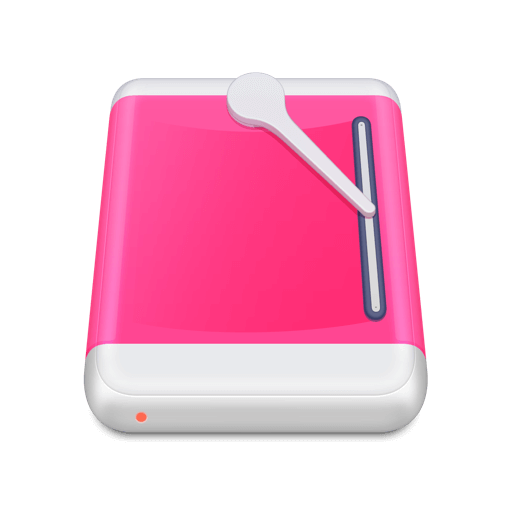 Customize your disk icons in CleanMyDrive 2 to easily recognize every drive. Purchase a fun icon pack from our collection and make every drive look amazing. With CleanMyDrive 2, cleaning hidden junk clogging up your drives is extremely easy and fun. Choose one manager for all your external and internal drives and make the storage-related chores a breeze.